The Polaris 9100 Sport is a compact, agile cleaner. 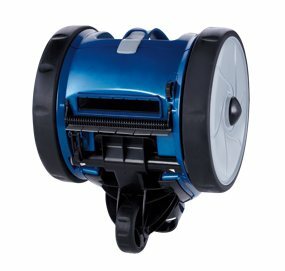 It features Vortex Vacuum Technology, providing maximum vacuum power without losing suction, along with a lightweight design that makes it easy to transport. 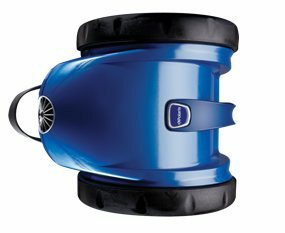 Polaris 9100 Sport Robotic pool cleaner (view larger). 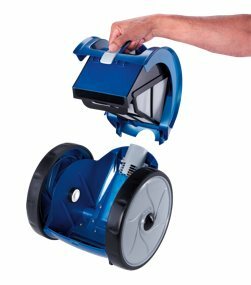 The 9100 robotic cleaner cleans quickly and effectively by focusing on the pool floor and cove. This robotic cleaner is easy to install with plug-in convenience and one-touch operation. It is suitable for all pool surfaces, and is ideal for small to medium sized pools up to 40 feet in length. This robotic vacuum is energy efficient, costing only pennies per day to operate. 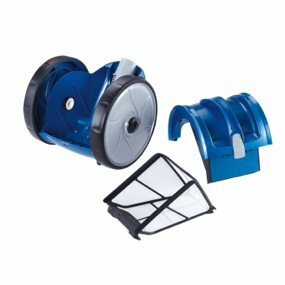 It features a top access debris canister that can be easily removed and emptied with a simple shake and spray convenience, so you never have to touch debris again. The 9100's reduced size allows effortless portability and saves space when storing. Easy installation with plug-in convenience and one-touch operation. Easy access filter canister (view larger).